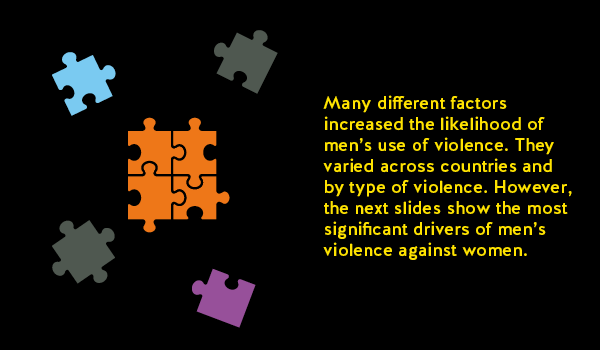 Partners for Prevention—on behalf of UNDP, UNFPA, UN Women and UNV—coordinated the UN Multi-country Study on Men and Violence in Asia and the Pacific to generate knowledge on how masculinities relate to men’s perceptions and perpetration of gender-based violence, in order to prevent violence. 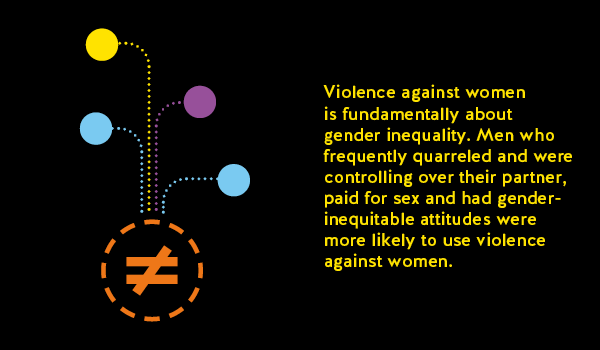 gender politics of policy research to explore institutional factors and structural conditions which enable gender-based violence. 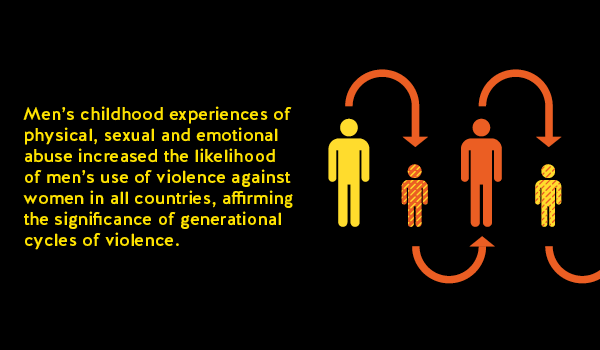 The UN Multi-country Study on Men and Violence in Asia and the Pacific was a collaborative effort involving part­ners from academia, research institutes, civil soci­ety, UN agencies and governments. 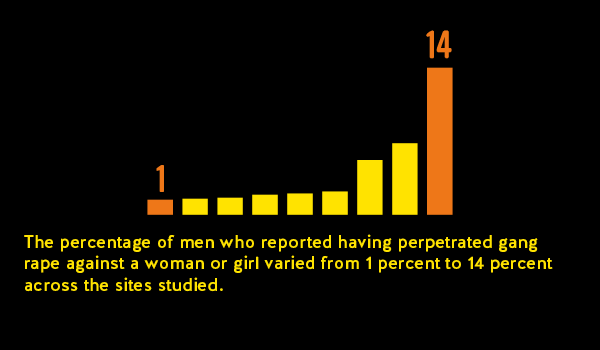 On 10 September 2013, UNDP, UNFPA, UN Women and UN Volunteers, through the joint programme Partners for Prevention, released the regional quantitative findings, ‘Why Do Some Men Use Violence Against Women and How Can We Prevent It? 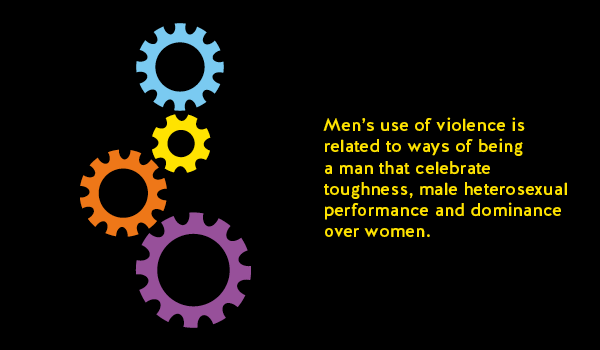 Quantitative Findings from the UN Multi-country Study on Men and Violence in Asia and the Pacific’. Download the regional report here. Download the presentation of findings here. 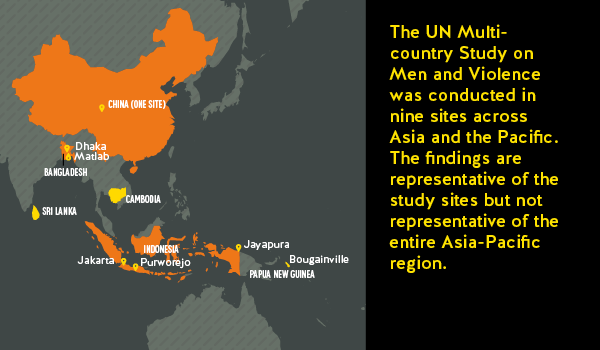 Click on a thumbnail below to view the data visualization graphs from the quantitative regional findings of the United Nations Multi-country Study on Men and Violence in Asia and the Pacific.